This shouldn't have come as no surprise whatsoever for my regular followers! Nas who is one of my Top 5 favorite rappers, just had to get acknowledged in my 'Artist of the Month'. Nasir Bin Olu Dara Jones who has been in the game for 21 years (*please note that I wasn't even born when he started his career*) recently dropped a new album (last week - July 17th) entitled 'Life is Good'. The album has received numerous amounts of positive comments and from me the album is definitely a 9 out of 10. Making it his 10th studio album! My family be winning! 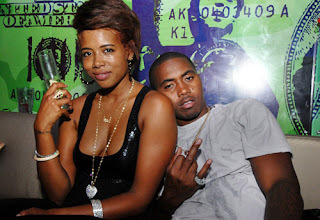 Even after a nasty divorce to singer Kelis (one of hip hop's hottest couples) and mother of his first son, Nas has kept his music and appearances consistent, always giving his fans what they want and always delivering. In 2010 he teamed up with Damien Marley (son of the legendary Bob Marley) on a collaboration album 'Distance Relatives'. Nas went back to his roots with this album trying to find something good out of it, to "build schools in Africa". Great vibe and positivity coming from Nas there and an even greater album! Another album receiving great reviews from Music critics all over. down in History as one of the best disses and beef in Hip Hop. With songs like 'Ether' and 'H to the Omo'. I will always have respect for these two hip hop legends, beef or no beef. Equally as good as a rapper, Nas is as good as an actor. The New York native starred in 'Belly', 'In Too Deep' and 'Hawaii Five-0' just to name a few. A biopic from Nas anytime soon? I hope so. Something that I will definitely watch. Something that I'd love to be a part of! [Let's make this happen!! Lol]. I could go on and on about Mr Jones for days! 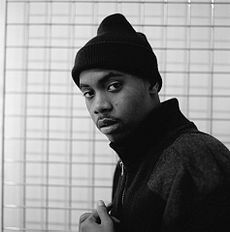 Nas is and will always be an Hip Hop Icon to the Hip Hop and Music industry with every one of his albums minus 'Untitled' going PLATINUM (still yet to hear about 'Life is Good'). 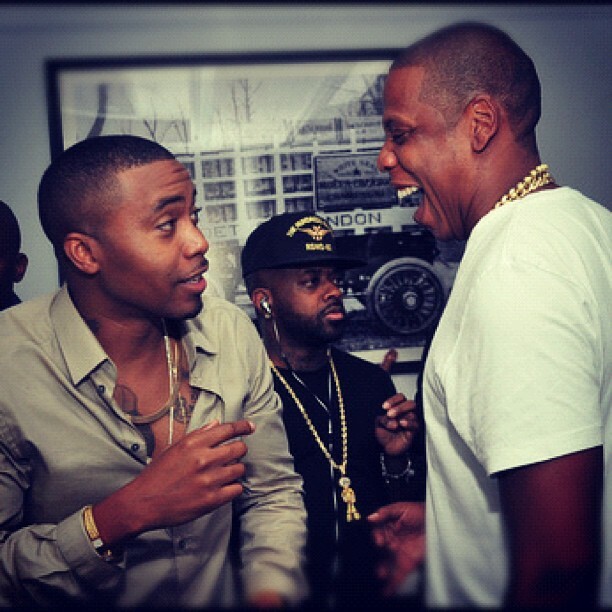 Nas will go down as one of the greatest in HISTORY! And I can definitely say that I've supported his music throughout! Check out some of my FAVOURITE Nas songs after the jump!! Including some from his very first album 'Illmatic'. 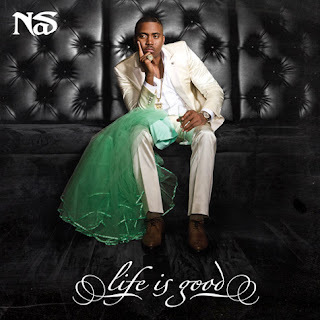 Buy Nas' new album, 'Life is Good' off iTunes NOW!! !